Today's exercise is to use Raw Umber, a rag and a bit of Ivory Black. I'm still struggling with tonal painting. I tend to do outline sketches first. 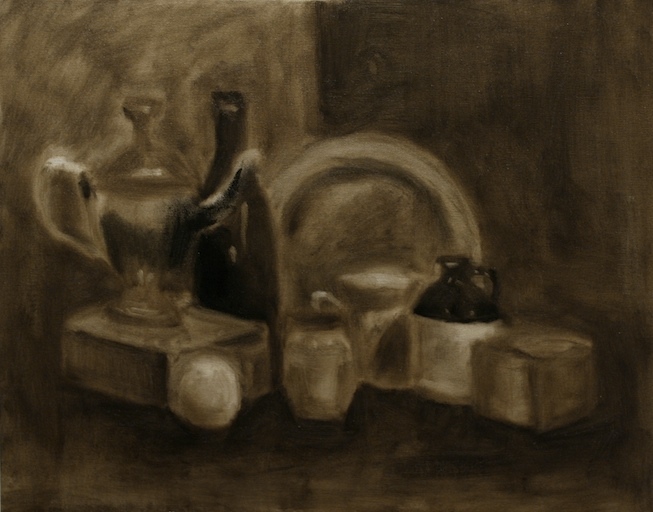 With a help from Gregory, it turned out to be a reasonably ok underpainting.